The Signature at MGM Grand is part of the famous MGM chain, and situated in the heart of the action. The hotel features a 24-hour concierge and a wide range of opulent condos, complete with first-class facilities including lavish beds, upscale bathrooms, fully-equipped kitchenette's, LCD TV's and private balconies offering views of the city. 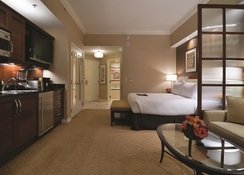 The Signature's amenities are equally as spectacular, and guests can take advantage of shared access to facilities at the establishment’s sister hotel, MGM Grand. 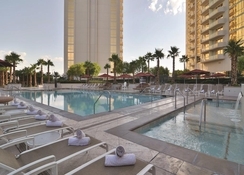 Experience private pools and cabanas, fine-dining, a fitness centre, a traditional barbershop, spa and salon services, Topgolf, plus a selection of Las Vegas Tours to book during your stay. Dine at one of MGM Grand's world-class restaurants or enjoy gourmet in-suite dining, when you stay at this 5-star resort. Step out of the hotel and you'll be met by a flurry of entertainment, with a host of restaurants, bars, rollercoasters, casinos, shopping malls and much more on your doorstep. 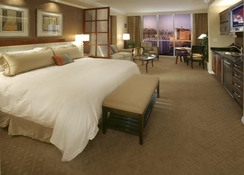 The Signature at MGM is located in the centre of the action on the Las Vegas Strip, and has all the top attractions within walking distance. Nearby places of interest include the MGM Grand Casino and M&M’s World. The monorail station also a short walk away, if you fancy exploring further. McCarran International Airport is located at a distance of 4km. 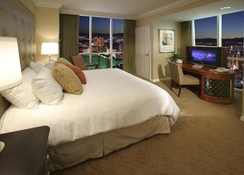 The Signature at MGM has spacious, plush suites with en-suite bathrooms, flat-screen TVs and iPod docking stations. 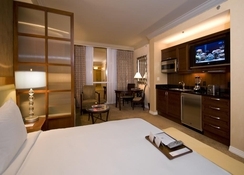 Each suite is elegantly decorated and comes equipped with a kitchenette, a comfortable seating area and a DVD player. Rooms come in various categories, so you can choose from a One Bedroom Balcony Suite, Two Bedroom Balcony Suite or a Luxury Suite. 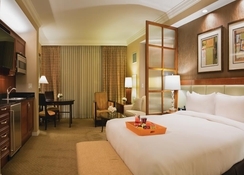 Additional facilities include in-room massages and top-class room service. The MGM Signature may not have a proper full-time restaurant, but its sophisticated bars and lounges ensure guests have snacks and refreshments throughout the day. Delights is the hotel's on-site deli serving breakfast and lunch until 14:00pm, which can also be delivered to your suite. Guests can also head to The Lounge, a gathering place for specialty cocktails or a refreshing glass of wine. If you fancy fine-dining, guests can also enjoy the on-site restaurants at the MGM Grand, including Joël Robuchon’s signature restaurant, which serves delectable French cuisine. There is also Hecho En Vegas Mexican Grill & Cantina for Mexican food, and a sports bar with TVs to watch live games. The MGM Signature has a 24-hour fitness centre complete with state-of-the-art treadmills, cross trainers, stair climbers and stationary bikes, along with an extensive collection of free weights. For ultimate relaxation there is an outdoor heated pool complete with cabanas and poolside cocktail services, or why not head to the luxury Spa and Salon? 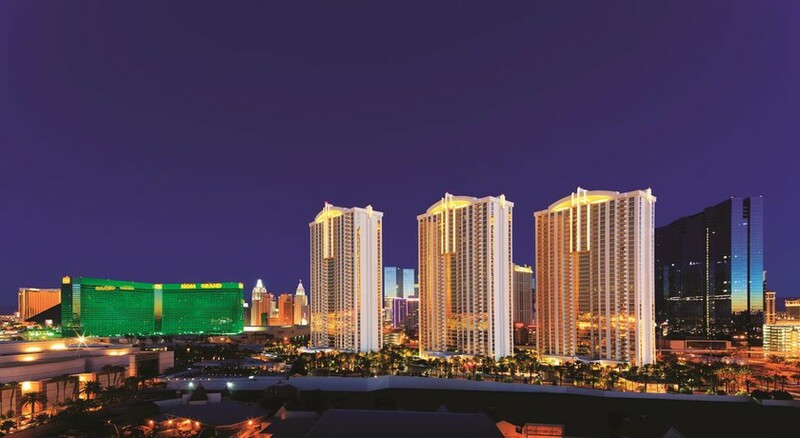 Outside of the hotel, the Strip has shopping, restaurants, bars and a lively nightlife scene to explore.